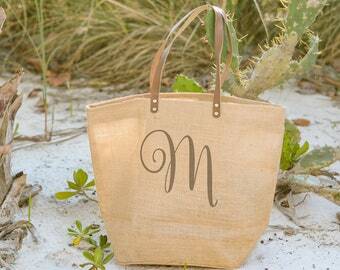 Spacious, functional, and stylish. 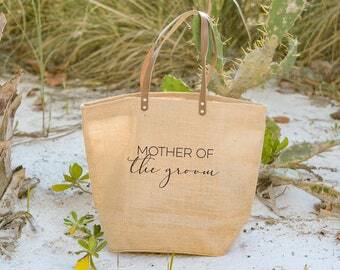 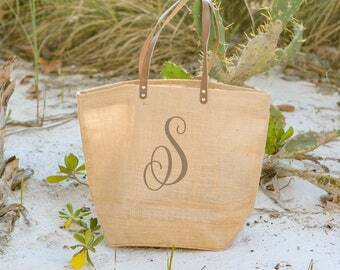 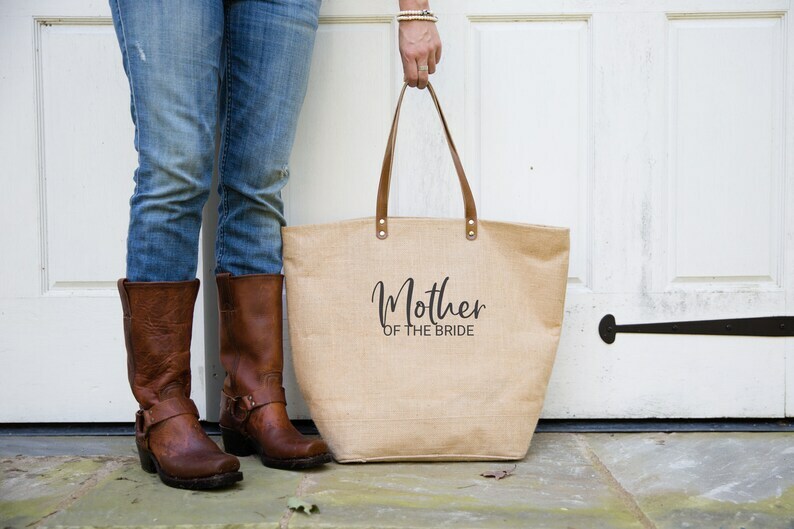 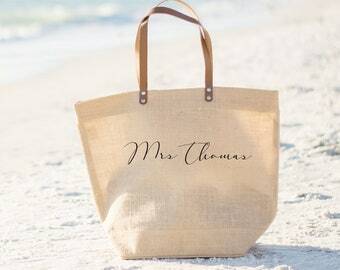 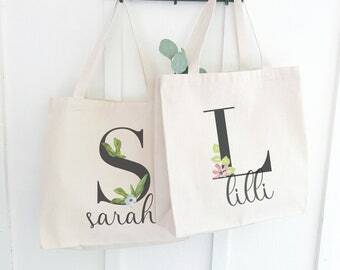 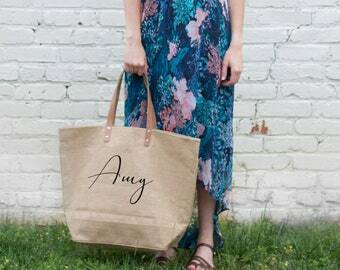 Our monogrammed burlap tote bags have a high-quality laminated interior with a deep base that keeps them upright wherever you set them down. 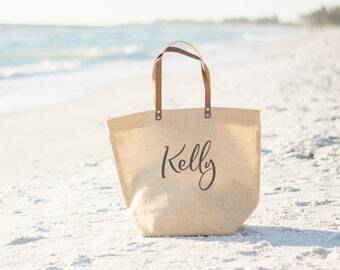 The roomy zippered pocket with a full zippered closure means everything that you put inside stays inside! 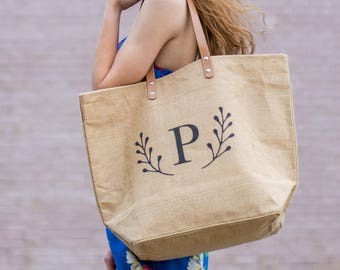 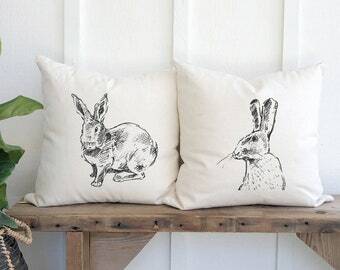 The natural burlap exterior is soft to the touch, hides dirt, and looks good anywhere, whether its hanging on your shoulder or in the entryway of your house. 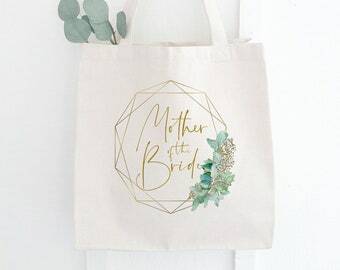 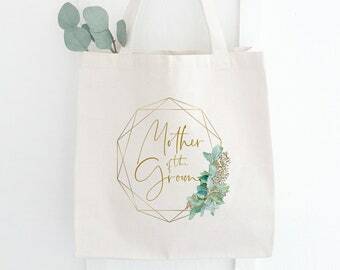 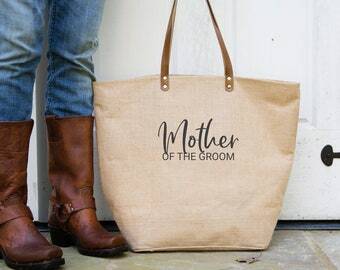 Set of 4 Bridesmaids Tote Bags, Large Fair Trade Laminated with Pocket, Bridal Party Gifts, Mother of the Bride Gift from Daughter.